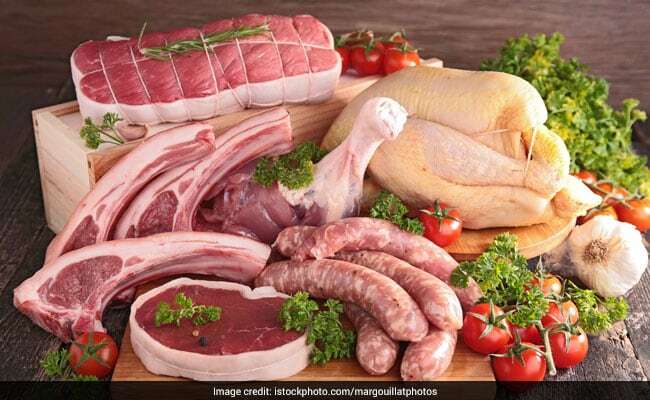 Here are some important points to remember while buying raw meat from the markets. Meat is a very important source of protein, apart from containing an abundant amount of vitamin B-Complex, iron, phosphorus and Omega-3 fatty acids that are required to maintain good heath. It is imperative to pick the right kind of meat in order to avail all its nutritional benefits. If this has got you thinking, here are some important points to remember while buying raw meat from the markets. Poultry meat is generally odourless; however, it may have a mild odour on rare occasions. Make sure it does not have a foul smell or a pungent odour. The skin of the meat has saturated fats that are high in calories and can potentially increase the risk of cardiovascular diseases. Hence, it is always recommended that the meat is consumed only after removing the skin. The colour of the meat says a lot about its freshness. Poultry meat must be light pink or white in colour. Make sure that the meat does not have a greenish tinge or is bruised on the surface. In case of red meat, it must be bright red in appearance. Checking food safety standards is the most essential step to follow. In case of packaged meat, it should be labelled by Food Safety and Standards Authority of India (FSSAI). For poultry, the texture should be firm and the muscle fibres must be clearly visible. The meat should not be slimy and if you touch it, the fingers should be dry rather than sticky. The meat shouldn't appear translucent and watery when it is cut. It is important to know and understand how the meat was sourced and bred in order to determine the quality of meat. It is advisable to check the place or at least know from where the meat was brought.